Independent anti-corruption organisation, Transparency International (TI) Ireland is launching a new initiative aimed at helping employers meeting best practice standards in protecting whistleblowers and acting on their reports. The initiative, titled Integrity at Work, will be formally launched this autumn and will involve employers signing a pledge to treat whistleblowers fairly and in addressing their concerns in a timely way. It will also provide access to free guidance for both whistleblowers and employers, and support the provision of free legal advice for anyone making a protected disclosure. TI Ireland operates a helpline which provides information, support and access to free legal advice to whistleblowers. Advice and support has been provided to almost 800 people since 2011, including Garda whistleblowers Maurice McCabe and John Wilson. TI Ireland published free guidance and a public information video on whistleblowing in late 2014 and will provide guidance to employers this autumn. It will also convene a series of stakeholder meetings over the course of the year and publish a national survey of attitudes and experiences around whistleblowing. In 2017, it will host a whistleblowing and anti-corruption conference. TI Ireland has also called on the Garda Inspectorate to undertake a separate review of how Garda whistleblowers have been treated since making their disclosures. The Inspectorate report should also assess current attitudes to whistleblowers within An Garda Síochána and formulate recommendations on the steps required to prevent the victimisation of whistleblowers within the service. In particular, it should examine a sample of cases and circumstances where Gardaí who reported malpractice allege they have faced formal or informal sanctions for doing so. The Speak Up helpline can be contacted by freephone at 1800 844 866, Monday to Friday, 10am to 6pm. More information on Speak Up is available at www.speakup.ie. 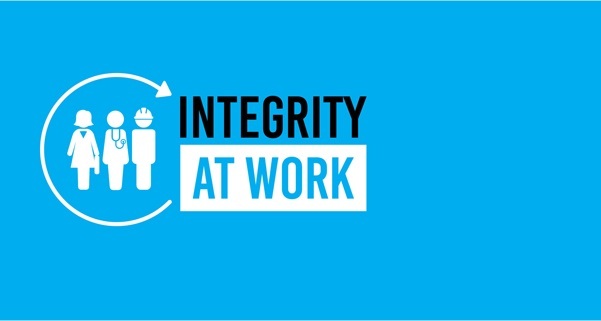 Information on Integrity at Work is available at www.integrityatwork.ie.